Home technology professionals will demonstrate new smart home solutions from Control4, including expanded music services, Intercom Anywhere, and When >> Then Automation. SALT LAKE CITY--(BUSINESS WIRE)--Sep. 20, 2018-- Control4 Corporation (NASDAQ: CTRL), a leading global provider of smart home solutions, announces its second C4Yourself Day™ on October 18, 2018. The inaugural event on May 31, 2018 brought nearly 3,000 consumers to over 130 lifestyle events hosted in Control4 Certified Showrooms worldwide, in which home technology professionals demonstrated smart home experiences. Following the incredible success of these events, Control4 opted for an additional #C4Yourself Day this October to showcase new innovative features of control and automation both inside and outside of the home. 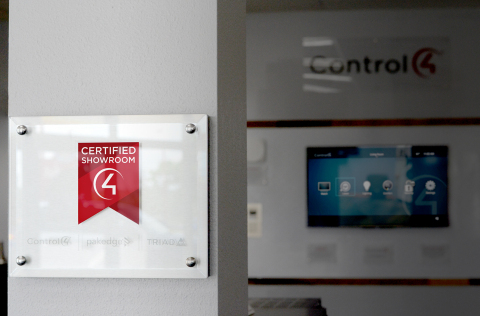 Find a Control4 Certified Showroom near you and to register for a #C4Yourself Day event on October 18here. For more information on Control4 visit www.control4.com.